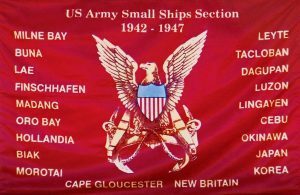 The U.S. Army Small Ships Section 1942-1947 was a unique organisation formed in response to advancing Japanese Forces in the South Pacific during WWII. During 1942 the Small Ships Section commenced landings in New Guinea. This ‘attack fleet’ consisted of a wide variety of vessels acquired or built in Australia and New Zealand. The fleet included fishing trawlers, schooners, ketches, luggers, tug-boats, yachts and ferries. Small Ships Section employed over 3,000 Australian civilians including one woman who served alongside 1,372 U.S. Army Personnel along with New Zealanders, Canadians, Chinese, Danes, British, Filipino, Dutch, Austrian, Torres Strait Islanders, French, even an Eskimo. The Small Ships were manned by Merchant Seaman from all over the world. The Australians who served with Small Ships Section were released for employment by the Commonwealth Manpower Authority. Men and boys from a wide variety of backgrounds served Small Ships Section on civilian contract. The ages of the Australian crews ranged from 15 to 80 years, hundreds of members were physically disabled while many were Veterans of previous conflicts. Several Small Ships Veterans had served in The Boer War while many were retired Veterans of WWI. Similarly, crews were employed in New Zealand who were either ineligible for Service with Commonwealth Forces or specialists in their field. After the war the Australians who served Small Ships Section were officially unrecognised and there was no publicly available information about their Service. Lack of recognition led to shame and resentment in many cases. Many crew members never spoke about their Service and the vast majority ‘crossed the bar’ long before official recognition was achieved. The U.S. Government granted Veteran Status to WWII Merchant Mariners during 1988. Soon after, several persistent surviving Veterans were granted U.S. Merchant Marine Award Entitlements. Veterans Bill Lunney and Frank Finch co-authored a book titled ‘Forgotten Fleet’ during 1995 which included many stories and photographs contributed by Veterans or their families. This book was an amazing success and generated wide interest. A second publication during 2004, ‘Forgotten Fleet 2’ co-authored by Veteran Bill Lunney and Dr Ruth Lunney was also a great success. Due to the success of ‘Forgotten Fleet’ and also the will of surviving Veterans to finally achieve recognition from the Australian Government; U.S. Army Small Ships Association was formed in 2003. Leading the fight for recognition was founding President Ernest Alfred Flint O.B.E., O.A.M., E.D. 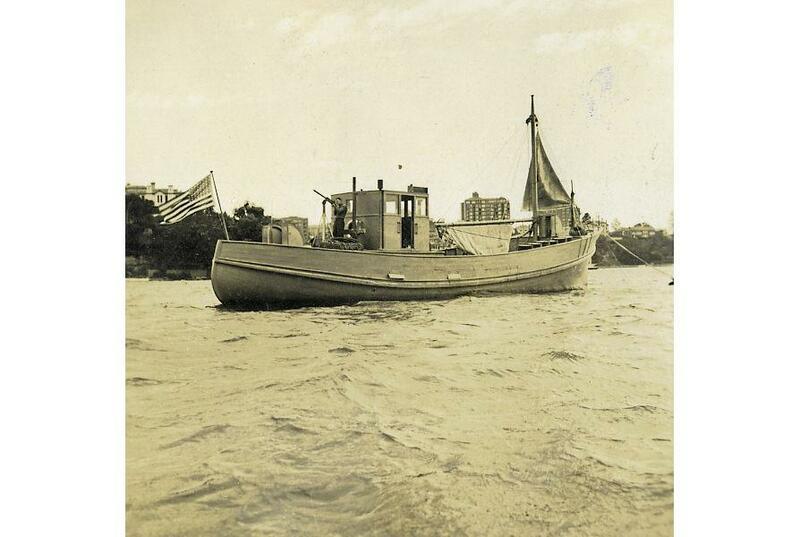 The U.S. Army Transportation Corps and the Pentagon held very little information about the Small Ships activities; initially the only information provided was brief mentions of Small Craft activities in The Transportation Corps Operations Overseas, published by the Center of Military History; and also in Our Jungle Road to Tokyo, by Lt. General Robert Eichelbherger who mentioned the Small Ships as follows; “Supplies for the Buna campaign came either by air or by small coastal luggers (and many of them were sunk by enemy action), which travelled at night. Supplies often were transferred, once they arrived off Allied-held beaches, to native canoes manned by what our troops called ‘Fuzzy Wuzzys’.” The only other information available was held in the memories of the Veterans and few surviving documents. One document uncovered was a manuscript, written by Ladislaw Reday from a diary that he kept whilst serving in New Guinea. Laddie was a founding Officer in the Small Ships Section and his manuscript was printed by the Association during 2004. Unfortunately Laddie passed away long before his book was ever published. See our webpage ‘The Raggle Taggle Fleet’ for details. Through tenacious campaigning over many years recognition was finally achieved during 2009 when an Honours and Awards Tribunal recommended Australian Imperial Campaign Awards be granted to Small Ships Veterans, qualifying on the same basis as members of the Merchant Navy. During 2010 U.S. Army Chief of Transportation BG Brian Layer Inducted Small Ships Section into the U.S. Army Transportation Corps HALL OF FAME in recognition of Exceptionally Distinctive Service. In many cases, receiving these particular Honours or associated benefits changed the lives of surviving Veterans. The Honours and Awards Tribunal decision righted many years of injustice and misinformation; however it did not conclusively resolve the issue of Australian recognition for Small Ships Section. Hundreds of Australians served with Small Ships Repair & Maintenance Section or as Shore Labourers in New Guinea. These men were typically subjected to regular attack from Japanese aircraft whilst serving periods of over 12 months in the combat areas; however their Service is yet to be officially recognised by the Australian Government. The unique nature of the Small Ships Operations can be partially attributed to its adventurous brainchild, John Sheridan Fahnestock (Sher). The idea of using small vessels to support MacArthur’s troops was conceived by two U.S. civilians, brothers Sheridan and Bruce Fahnestock. Previously at the age of 21 Sheridan arranged one of the longest and most fruitful scientific expeditions ever to sail the South Seas. The brothers sailed with five other crew members for three years on the schooner Director. For most of the voyage Sheridan and Bruce’s mother was also aboard enduring malaria, storms and encounters with islands practicing cannibalism. Before the expedition ended they travelled to Peking, arriving at the time of the Japanese Invasion. They reported on the war before returning to America on a Dollar liner. The expedition returned a wide variety of artefacts, flora and fauna to the American Museum of Natural History. After this success Sheridan arranged another South Seas expedition in 1940. Their objective was ostensibly to document the music and sounds of the South Pacific, but actually on a mission for President Roosevelt to measure the attitude of the Indonesians toward possible invasion by the Japanese. The Director II expedition was sponsored by the American Museum of Natural History and carried state of the art recording devices along with 2 miles of insulated microphone cable. During October 1940 Director II was shipwrecked near Gladstone; another vessel was chartered and the crew spent ten months recording the music of Bali, Java, Madura and the Kangean Islands. Under directions from President Roosevelt they were also evaluating Dutch military preparations on Java, assessing the usefulness of small watercraft for Pacific Islands combat and ensuring that U.S. defense funds allocated to Southeast Asia were being properly spent. The now famous Fahnestock recordings were completed in September 1941 and they arrived home within a week of the Japanese attack on Pearl Harbour. Mission X was a secret organisation consisting of military personnel and civilian specialists whose objective was to defeat advancing Japanese Forces in the Pacific. The crew of the Director II was reunited and commissioned as U.S. Army Officers; they island hopped to Brisbane from Hawaii in B-26’s, losing three members on the way when their plane dropped into the sea. Army Transport Service for the SWPA commenced operations in Melbourne prior to establishing headquarters in Sydney during May 1942. Australia was in a very desperate position, illustrated by the fact that the High Command had previously revealed a defence strategy based on the ‘Brisbane Line’, which gave half of the country to the enemy by default. Australia’s population of approximately seven million people raised approximately one million Service men and women during WWII. The U.S. contributed approximately one million armed personnel and five million tons of equipment through the Port of Sydney alone. Contemporary propaganda suggests that the Japanese were not intent on invading Australia, however bombings in Broome, Townsville Harbour, Darwin, the shelling of Newcastle and the submarine attack in Sydney suggested otherwise. The Japanese Government had printed Occupation Money for Australia and appointed Kennyato Sato as Viceroy of Australia in anticipation of Invasion and Occupation. Early in 1942 while Prime Minister Curtin was making his assertion that Australia “looks to America, free of any pangs as to our traditional links or kinship with the United Kingdom”, an Anglo-American Alliance had determined to conquer German Forces in Europe before facing Japan. Churchill and Roosevelt agreed that the U.S. would defend the Pacific. Curtin agreed to withdraw his demand to Churchill for the return of Australian troops in exchange for this support, which was limited pending the outcome in Europe. General MacArthur was appointed as Supreme Commander of Allied Forces in the SWPA, however U.S. troops did not out number Australians in the SWPA until 1943. Both Australian and U.S. strategists realised early in 1942 that shallow drafted vessels were required to navigate the dangerous coastline of New Guinea, and that there was an absolute shortage of such vessels. An unorthodox acquisition of vessels occurred along the Australian coastline and in New Zealand. In several cases ships crews were retained after acquisition of their vessels. Later during 1943 a Seamanship Apprentice School operated at Walsh Bay Sydney where many 15 and 16 year old boys were trained for up to six weeks before deployment to New Guinea. One 15 year old Sea Scout destined to become an Apprentice was approached at his family home by U.S. & Australian Officers who asked, ”Would you like to do something for your country?” Followed by, “Ask your Mum to sign this and go to Walsh Bay”. Sixty years later during 2003 Pat Curtis M.B.E. became Founding Treasurer for U.S. Army Small Ships Association and eventually achieved Official Recognition from the Australian Government for his youthful Service during 2011. During 1944 employment was also granted to members of the Australian Merchant Navy as qualified seamen were required and Australian vessels were unavailable after heavy losses. Allied progress from the Battle of Buna through to the Liberation of the Philippines was dependent on Small Ships Section. During the New Guinea campaign Small Ships would land troops, evacuate wounded and carry supplies required for the allied advance. Much of this work was performed at night, in most cases without radio or Charts. There are many accounts of members achieving the most incredible nautical feats and performing acts of bravery. Officially 36 Australian Members were killed in action. At one time Small Ships crews sang their own song, aptly named ‘The Suicide Squadron’. During 1942 the situation in New Guinea was so desperate that thirty-five members of 2/7th Battalion of the A.I.F.’s Sixth Division volunteered to join Small Ships Section. The purpose of the U.S. Army Small Ships Association is to promote the Service of Small Ships Section; Assist & support the Veterans of the Small Ships Section and their families; and to foster the legacy of Small Ships Section and the U.S. Army Transportation Corps. It is unusual for a WWII Unit Association to be discovering new Veteran members more than 71 years after the war ended, however we are still assisting members to achieve recognition and actively commemorate their Service. The fact that Australians are learning about the Service of the Small Ships means a great deal to our Members. The opportunity to actively commemorate their Service and foster the legacy of Small Ships Section has been the primary focus of our Members since recognition was granted. Active participation in commemorative activity has proved to benefit the health of both Veterans and family members alike. The U.S. Army Small Ships Association Inc. is a non-profit organisation which relies upon membership fees, donations and fundraising activities for all operational expenses. All Committee Members work on a volunteer basis. Membership fees and donations directly support the Veterans and their families to commemorate the Honour, Courage and Sacrifice of Small Ships Section. This story is a largely untold chapter of our national and wartime histories’. 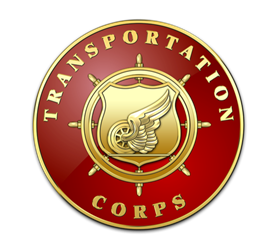 We hope you enjoy learning about the Service of Small Ships Section.